Conceptual House Plans On Sale - 35% DISCOUNT! Have you ever wanted to be the first person to own something new and exciting! Now's your chance! Not only can you be the first to order one of our Conceptual House Plans but, if you order today, you will also get the benefit of ordering this house plan on sale and receive our First Time Buyer - 35% Discount! Step 4: You will be contacted by one of our Customer Service Representatives when your plan has been finished, at which point the 50% balance will be paid and your plan will be shipped via your preferred method. It doesn't matter what style or size house plan you are searching for, you are sure to find one that fits your needs from our Conceptual House Plans section found at our House Plans on the Drawing Board. 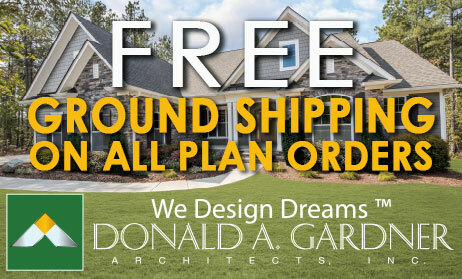 At Donald A. Gardner Architects, we offer many house plan styles and features. 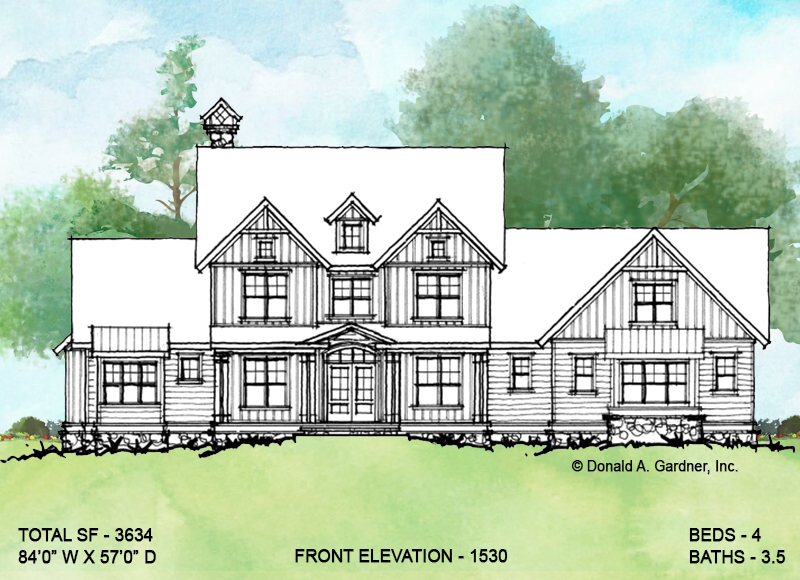 Not only do we have over 1,100 home plans, we can customize any plan to ensure it becomes your perfect dream home plan. So, if you've found a home plan that's almost perfect ... except for one or two things? No problem, we can correct this with our house plan modifications services. Our design team can customize floor plans to your exact specifications, so the home you end up with is perfect for your needs. To find out more about how the modifications process works, click here. Don't forget that all plan orders are also eligible for FREE Ground Shipping.